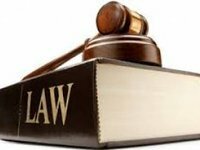 The Law on Amendments to the Economic Procedural, Civil Procedure Codes, the Code of Administrative Procedure and other legislative acts of Ukraine (bill No. 6232) was published in the official parliamentary newspaper Holos Ukrainy on November 28. The law shall come into force on the day when the Supreme Court starts working as determined by a decision at its plenum, with the exception of a number of changes: to Part 3 of Article 82, Clauses 4,6 of Part 1 of Article 106, Articles 133, 147, 152, 155 of Section XII of the Law "On the Judiciary and the Status of Judges," as well as amendments to the law "On the Supreme Council of Justice," which shall come into force on the day following the day of its publication. As reported, the Verkhovna Rada, Ukraine's parliament, on October 3, 2017, adopted a draft law in general to amend the Economic Procedure Code, the Civil Procedure Code, the Code of Administrative Procedure of Ukraine and other legislative acts (bill No. 6232). Verkhovna Rada Chairman Andriy Parubiy signed this law on October 30, President of Ukraine Petro Poroshenko enacted it on November 22.